The tables below describe video audio formats supported by 4K TVs from Samsung, LG, Sony, Vizio, Panasonic, TCL etc. There are a plethora of video audio file formats, so it can be a big challenge to understand the differences between video and audio file formats supported by 4K TV. The file formats comparison is outside the scope of the article. To make things easier, we cover file extensions, container formats, and codecs supported by 4K TVs. You can use MediaInfo or similar tool to identify the container and codec format of the video you want to play on 4K TVs. Now check out the full list of 4K TV supported video audio file formats. If you run into video audio compatibility issues when playing video on 4K TVs, resort to a video converter for 4K TVs. 1. Process (upconvert) HD video to 4K for 4K TVs for crystal image playback. 2. Convert any video audio codecs to the best video audio file format supported by 4K TVs, like H.264 to H.265, MKV to MP4, VP8 to VP9 etc. with the fastest speed and highest quality. 3. 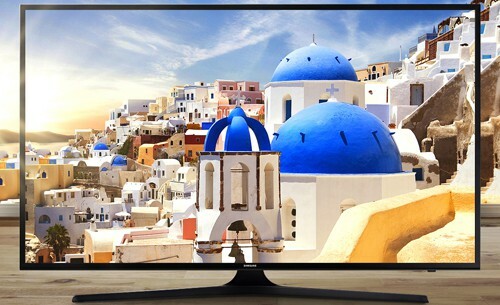 It supports any 4K TV model from Samsung, LG, Sony, Vizio, Panasonic and more. A Samsung 4K TV supported video audio file formats may differ from that of a Sony UHD TV. For users who don't want to spend much time reading 4K TV video audio format, we list the most common video audio file formats supported by 4K TVs from Samsung, LG, Sony, TCL, Vizio, Sharp, Toshiba, Philips, Panasonic and others (also get to know the the best 4K TV to buy, and best 4K content to watch on TV). Frame rate: 30fps or 60fps. Aspect ratio: most 4K UHD TVs are made in a rectangular shape, which is 16:9 or 1.78 to 1 aspect ratio. If your video image looks squished, you can use the above 4K video converter to change aspect ratio before you play the video on 4K TV. It also allows users to convert frame rate and bit rate accepted by 4K TVs. Video file extensions: .avi, .mkv, .asf, .wmv, .mp4, .mov, .3gp, .vro, .mpg, .mpeg, .ts, .tp, .trp, .mov, .flv, .vob, .svi, .m2ts, .mts, .divx, .webm, .rmvb. Video container format: AVI, MKV, ASF, MP4, 3GP, MOV, FLV, VRO, VOB, PS, TS, SVAF. Video codecs: H.264 BP/MP/HP, HEVC/H.265, VP9, MPEG 2, MPEG 1, Motion JPEG, DivX, H.263, VP6. Audio file formats: Dolby Digital, LPCM, AAC, HE-AAC, WMA, Dolby Digital Plus, MP3, DTS. Video file extension: .mpg, .mpeg, .vob, .vro, .m2ts, .mts, .ts, .mp4, .avi, .divx, .asf, .wmv, .3gp, .3g2, .mov, .mkv, .rm, .rmvb, .flv, .ogv, .flv. 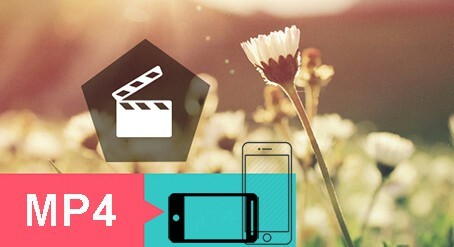 Video file formats: MP4, MKV, FLV, MOV, WMV, AVI, VOB, ASF, VRO, TS, 3GP. Video codecs: MPEG-1, MPEG-2, AVC, DivX, Xvid, H.264, H.265, VP8. Audio file formats: WAV, MP3, AAC, WMA. Video file extension: .asf, .wmv, .divx, .avi, .mp4, .m4v, .mov, .3gp, .3g2, .rm, .mkv, .ts, .trp, .tp, .mts, .mpg, .mpeg, .dat, .vob, .rmvb. Video container format: MP4, MKV, FLV, MOV, WMV, AVI, ASF, VRO, TS, 3GP. Video codecs: DivX, H.264/AVC, Motion JPEG, MPEG-4, MPEG-1, MPEG-2, VP8, VP9, HEVC. Audio format: WMA, AAC, MP3, DTS, Dolby Digital. Video codecs: H.264, MPEG 1, MPEG 2, MPEG 4, HEVC/H.265, VP8, VP9, DivX. Video container formats: MP4, MKV, FLV, 3GP, TS, AVCHD, MOV, AVI. Audio format: MP3, AAC, HE-AAC, AC3, DTS, E-AC3, MPEG Audio. Video formats: H.264/AVC (MKV, MP4, MOV), H.262(MKV), H.265/HEVC (MKV, MP4, MOV), VP9 (MKV), H.264 (Roku Premier, Premier +, and Ultra). Audio formats: AAC, MP3, WMA, PCM, AC3/EAC3, DTS, ALAC, M4A. Video formats: MP4, MKV, FLV, 3GP, TS, AVCHD, MOV, AVI, ASF, WMV. Audio Formats: MP3, AAC, HE-AAC, Dolby Digital, WMA, ALAC. MacX Video Converter Pro can quickly upconvert HD to 4K for 4K UHD TVs with sharp image quality. Also convert among video formats, HEVC to H.264, VP8 to VP9, H.264 to H.265, MKV to MP4 etc. All TV models from LG, Sony, Panasonic, Samsung, Vizio etc. are supported. 2160p vs 4K UHD, What's the Difference? Here's everything you need to know about 4K UHD. UHD video file size is too large! A 4K compressor comes to help. Our picks for the best 4K UHD video player. What is 4K UHD upscaling? Why does it matter?